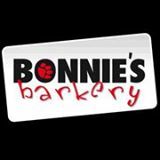 Bonnie's Barkery, the Healthy Pet Market for Dogs and Cats, offers one-stop shopping for all your pets’ needs. Owner-operated and knowledgeable staff, we offer personalized service including stress-free gooming and a full array of the highest quality natural, organic and holistic foods and treats. We also carry a wide array of unique merchandise including toys and beds made from non-toxic materials, collars, leashes, clothing, grooming supplies and more!